Ana Bourbon is a Research Fellow of the Life Sciences Department-Food Processing Group, and she works at INL on CVMAR project with the purpose to encapsulate bioactive compounds to improve the shelf life of food products. Ana holds both Master and PhD degree in Biological Engineering from University of Minho in food technology with high marks. Her background is focuses on the development of bio-based structures (micro and nano) to encapsulate and control the release of active compounds in food matrices. 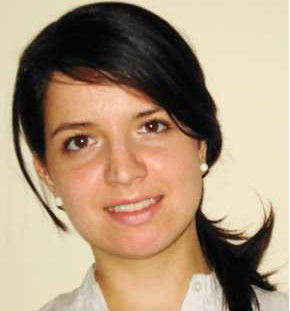 Her PhD was about “Development of nanohydrogels as a delivery vehicle of bioactive compounds to food matrices” and during this period, Ana Bourbon published around 25 papers in International Journals of Food Engineering area, was co-author in 4 book chapters and was author of a patent. She won the award of Food & Nutrition Award for the Research and Development in 2015 with the technology developed during her PhD. Bourbon A.I., Cerqueira M.A. and Vicente A.A. Bourbon A. I., Cerqueira M. A. and Vicente A. A.
Encapsulation and controlled release of bioactive compounds in lactoferrin-glycomacropeptide nanohydrogels: Curcumin and caffeine as model compounds. (2016) Journal of Food Engineering (180), 110-119. Bourbon A. I., Pinheiro, A. C., Cerqueira, M. A. and Vicent, A. A. Influence of chitosan coating on protein-based nanohydrogels properties and in vitro gastric digestibility. (2016) Food Hydrocolloids (60), 109-118.